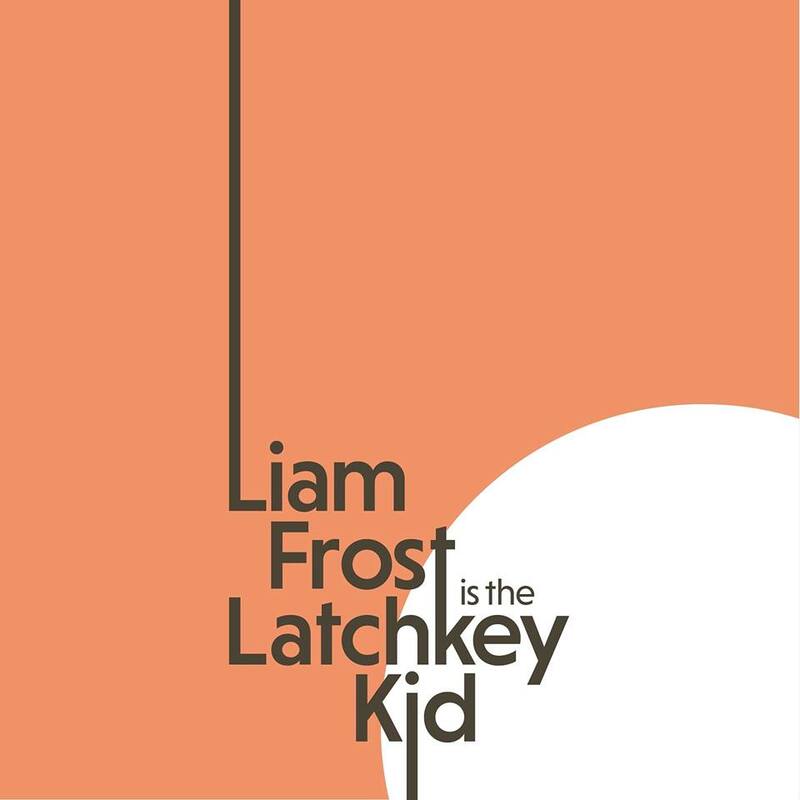 Liam Frost's third album has been a long time coming. It's been ten years since his second record We Ain't Got No Money Honey, But We Got Rain and thirteen since his debut Show Me How The Spectres Dance. The album, and the associated Pledge Music campaign, has been in the pipeline for a while, but has now finally seen the light of day. And it's a record that lives up to the sky-high standards of those first two albums, allowing long-term devotees to both reminisce at their brilliance and to swoon at where his art has taken him now, and newcomers to his sound to fall in love at first listen and then discover his past. Going Steady opens the album with a slow contemplative acoustic strum that might mislead the casual listener as Liam’s opening line asks the question "what could a weary brother wonder?" Its position at the start of the record is reassuring in the sense that it shows that Liam hasn't lost his ability to craft beautifully structured emotionally rich songs that tug at the most sensitive of heartstrings. But it's really just the hors d'oeuvres for what's to come. Hall Of Mirrors, Rope Of Sand starts off innocuously with an instrumental first thirty seconds, building slowly as Liam reflects "I'm a one percenter, I'm a main eventer, I'm a shooter man, I'm the one man gang in a hall of mirrors" as the song builds momentum. One of the magical things about The Latchkey Kid is the way it totally seduces you without you being fully aware it's happening and Hall Of Mirrors is one of the best examples of that, the chorus possesses such a warm optimism as he declares "I never meant to let this get so far out of hand" with a disarming honesty before a guitar solo takes over the breakdown then comes back to that line. Mercy Me is somewhat of a diversion, Liam putting on his funk pants and sounding like he's never done before with all sorts of shenanigans hanging around an earworm riff that makes the song feel much longer than its two and a half minutes. Recent single Smoke follows and returns to a more reflective tone. The unfussy production of the record allows the simple plaintive elements of Liam's songwriting to come to the fore, there's a lack of the clutter that often suffocates records that have had a gestation period this long as every new idea is shoehorned into the song. There's subtle lifts in the music that complement changes in the emotions in Liam's vocals perfectly. There's hints of Americana across the record, no more so than on Didn't It Rain, a song that could quite easily fit on either of his previous records, but which also feels like it's of this moment. Like what's gone before, there's a real loose feel to the production, whether it be the mouth organ that announces its arrival, the patient drums that underpin it or the song's unusual and slightly disconcerting rhythmic pattern, that allows the songs to breathe as Liam declares "didn't it rain, poison tears down the drain" in the chorus. The Slow Knife was released as a single track late last year and has been revisited for the album. This version starts off majestically lop-sided, an uncanny earworm instrumental section of the sort you'll find hard to shift, before Liam picks over a failed relationship and the repercussions "I swear it feels just like I'm dying, I know you've been dying too, teach how to live in this house full of spiders, the dam is surely gonna give soon" before coming to the conclusion that "it's the slow knife that cuts deep." Pomona has been a favourite of many at Liam's live shows and this recorded version is probably the centre point of the album. It starts off painfully understated, uncomfortable in the raw crispness that the production affords it and which has the hairs on the back of the neck standing to attention, then builds as Liam's accompanied by a female vocalist until it hits the chorus which has a gorgeous call and response before dropping back down and doing the same again. Its breakdown has Liam singing over a fuzzy guitar riff before concluding with the chorus again, getting more intense each time they go round it before the song drops right back down at the end. It's at the very least as good as anything he's ever released before and that's some accolade. The next two songs will be familiar to anyone who's kept in touch with Liam over the last near decade since his last album. Who's Gonna Love You and When I'm Alone both featured on his The Wild Places EP, but these versions both bristle with the taut creative energy that flows through the rest of the album. The former features Liam's unmistakable Kersal twang pronunciation of "love" that was so endearing to everyone except London's music cliques back in the Spectres days whilst the latter is so emotionally tense you feel it might shatter into pieces at any point, Liam's voice drawn out to emphasize the words he's singing and augmented by backing vocals. There's a country feel to the opening bars of Follow You Down, another contender for the album's stand-out track. "Do I really love you, I guess I might as well" Liam ponders as he picks over the bones of a relationship with a disarming honesty. There's a warmth to both the production and the subtle backing vocals that gives the song an added gravitas and Liam's voice has never quite sounded as rich and soulful as it does here. The album closes with Lover, Trouble Knows My Name, a sub-minute three-minute self-critical assessment to the tune of an acoustic guitar. It's the most stripped back track on the record and the one that's as a result the most direct and honest as he laments "I've been wandering endlessly, having it out with the rain." The standards set by Show Me How The Spectres Dance and We Ain’t Got No Money Honey But We Got Rain meant expectations for this forever delayed record were sky high, but, as Liam was recently quoted, this is his best collection of songs yet. His unmistakable voice is the centrifugal force but the real star here are the songs, constructed with an eye on every detail with an army of trusted people on the long gestation period of the record. Warm, open and candidly reflective, it’s proof that the art of great songwriting is alive and kicking in an era of X Factor and bpm obsession. The album is currently only available via his Pledge Music page. Liam Frost can be found on Facebook, Soundcloud, Youtube and Twitter. The website can be found here. Our recent interview with Liam can be found here.